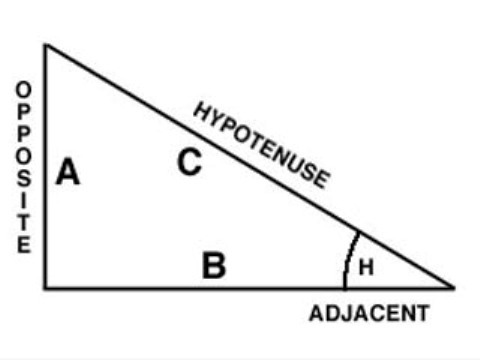 If you need to find the length of the hypotenuse of a right triangle and known length of both sides, you can use the Pythagorean theorem. If you know the length of only one leg and one and any sharp corners, for you too, all is not lost. If you know the lengths of both legs, the length of the hypotenuse can easily be found using the Pythagorean theorem. Since the sum of the squares of the legs equals the square of the hypotenuse, the length of the hypotenuse is easily calculated as the square root of the sum of squares of other two sides. For example, if the lengths of the legs equal to 3 and 4 cm (hence, their squares is equal to 9, and 16), then the hypotenuse will equal the square root of 25 (9 + 16), i.e. 5 cm. If you know the length of only one leg and one acute angle, then find the hypotenuse in two ways. If you know the angle adjacent to the leg, the length of the hypotenuse is equal to the ratio of the leg to the cosine of the angle. If you know the angle opposite the leg, the length of the hypotenuse is wound against this side to the sine of the angle.